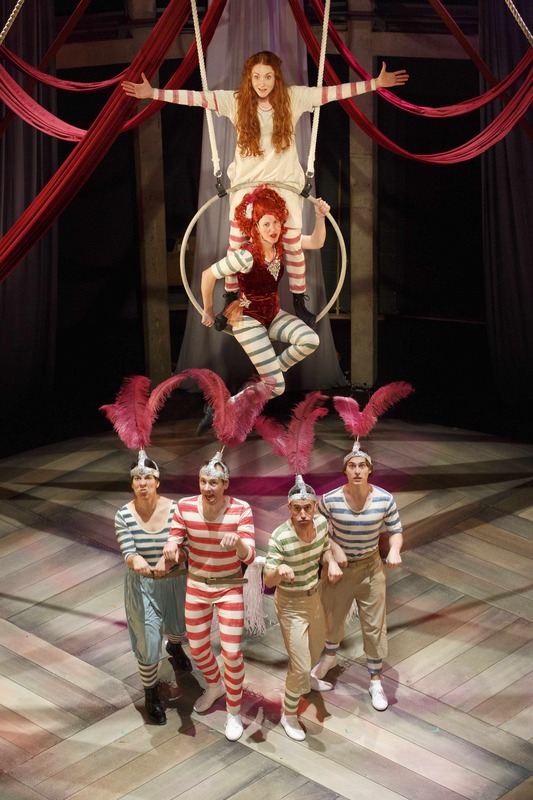 Phoebe Thomas is as vibrant and colourful as her red hair, as she takes to the boards of Bromley’s Churchill Theatre for the UK tour of Hetty Feather Live. Bringing the now world famous character of Jacqueline Wilson’s, Hetty Feather to full life, Phoebe Thomas wonderfully captures the very essence of the young foundling. 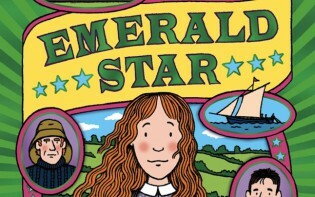 You barely need to be a Hetty Feather fan to delight in this stage sensation, however for girls who have loved the trilogy of books over the past few years, this really is a treat brought to life. 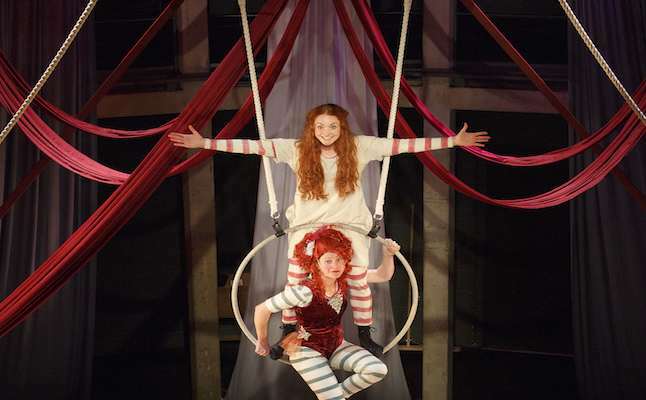 Throwing the audience back in time with their theatrical style and skill, Hetty Feather is clever, ingenious and smart. A simple stage, ladders and ropes are used in such incredible and marvellous ways that the audience feel as if they’re being transported between country homes, the Foundling Hospital, Hampstead Heath and even inside a circus tent. The stage barely changes, the props remain the same and yet as I sat in my seat I was taken on a whirlwind journey of Hetty Feather’s young life; and it’s amazing! Tumbling, spinning and spiralling in the air, each and every actor on the stage used circus like techniques as they leapt and glided amongst the enormous ropes and curtains that hung from the stage. All the performers have spent long and demanding hours learning acrobatic skills that give their audience sheer enjoyment as they created an imaginary world in front of our eyes. However the magic of the show moves further from the stage. Every centimetre of the theatre was used to it’s full potential as actors flew through the air, span from hoops and yelped from the auditorium, it really felt as if we were almost part of the Victorian times and really living the life of Hetty Feather. Jacqueline Wilson must be very proud of this stage play. 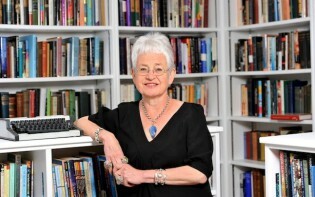 When I met her a couple of years back to discuss how and why she created Hetty Feather, she explained that she wanted to really bring the true story of Victorian foundlings to life for modern day children. This stage play delivers this to the full, staying true to the original book, even to the point of lifting lines from the chapters. As we watched, mesmerised, it was as if the pages of the book that I’ve read time and time again were actually coming to life in front of my eyes. And Phoebe Thomas is superb. Many many nights as I’ve read Hetty Feather as my bed-time story, I’ve imagined what that young foundling girl looked like, how she spoke, how she smiled and how she thought. Now I know, because Phoebe Thomas captured the character of Hetty Feather exactly as I’d imagined. She was perfect; she was Hetty. If you’re looking for a show that gives you laughs from beginning to end, think again. Just as the book takes it’s reader on an emotional rollercoaster, detailing Hetty’s every emotion, this stage play mirrors that feeling. We feel the deep emotion as Peg hands the children to the Foundling Hospital, we walk in Gideon’s shoes as he turns mute against his peers and we laugh out loud as the expert actors bring the fun of the circus into full vivid colour right in front of our eyes. This stage play has opened up the covers of Jacqueline Wilson’s brilliant novel and they’ve brought it to life in a way that leaves you wanting to watch it over and over again. 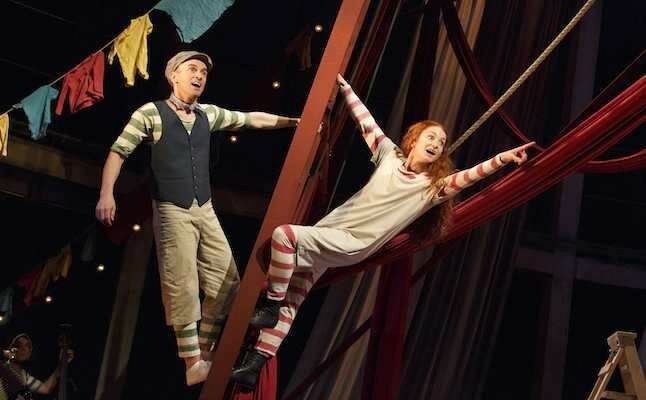 Catch the Hetty Feather show as it rolls into your town this year. Encore!